Enrico began his career in the recruiting industry in 2015 and joined PrincetonOne in 2018. 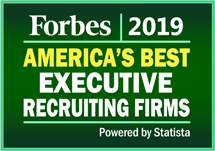 As an Executive Recruiter in the firm’s manufacturing division, he focuses on sourcing candidates for a variety of engineering, product design and software development companies. He locates, attracts and places top talent in a variety of roles including, Manufacturing Engineers, Production Supervisors, Materials Engineers and Electrical Engineers. A true business partner to the clients and candidates he represents, Enrico provides focused, dedicated service that drives exceptional results. 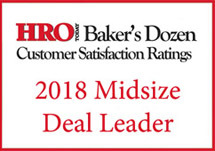 After conducting an in-depth assessment of his clients’ business strategies and unique requirements, he connects candidates and companies who truly match each other’s goals and needs. Ambitious, determined and committed, his recruiting philosophy is to treat candidates the way he wants to be treated and to provide honest and straight forward communication throughout the entire process. Enrico earned a degree in Business Administration from Cleveland State University. A proud Clevelander and self-proclaimed comedian, he is a ‘dog dad’ to a Wheaten Terrier and an avid traveler.